These kinds of staff satisfaction forms are preferred for detailed reports, analysis of the policies, the payment details etc. by the higher authorities. These forms can be used by schools/colleges to analyze the satisfactory levels of the staff. 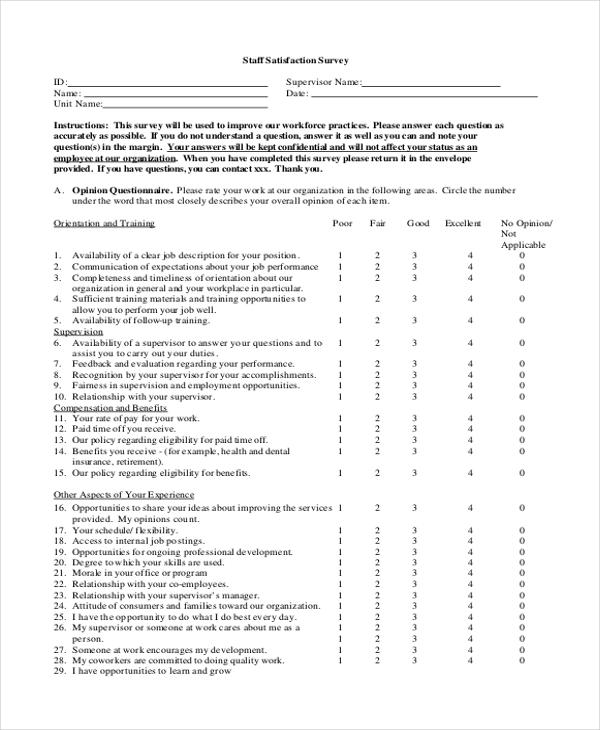 These kinds of staff survey forms are useful to know the general satisfaction levels of the employees in an organization and whether they agree or disagree with the particular points. These forms can be used by the organizations to check whether the staff is in sync with the administration and they are really useful for that. These kinds of survey forms are generally used in hospitals to gather the satisfaction levels of the staff and the patients. These kinds of forms are used to record the patient and doctor interaction levels and they can be an input for the doctors to improve. These kinds of survey forms are used in malls, supermarkets or any other work areas where supervising and the help from the supervisors plays a major role. 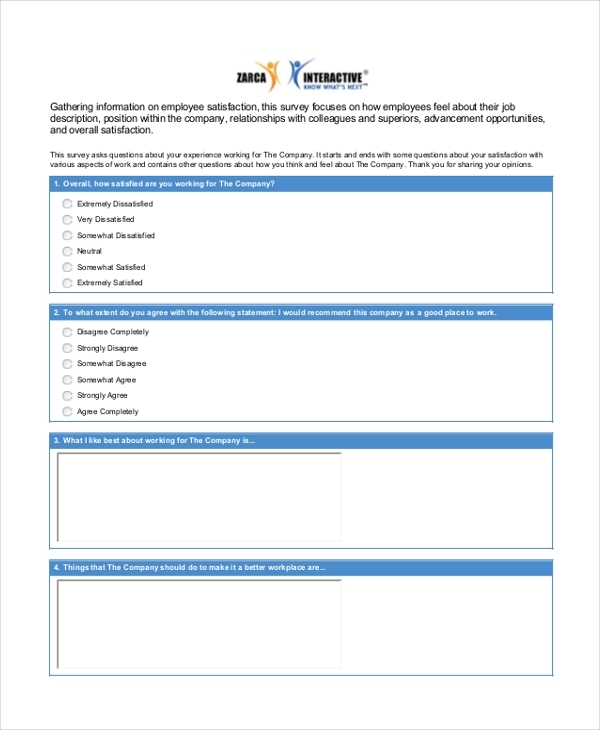 Sure these forms can help the organization to understand the supervisors and the level of interaction with their staff. These kinds of forms are normally used by the public board of the schools to know about the satisfaction levels of the staff about their schools and the management there. Staff satisfaction survey forms are used to know the opinion of the staff and the various sections of employees working in an organization. The schools, colleges, hospitals and various other institutions also use these survey forms to record the opinion of the staff and the customers/patients which help in the overall growth of the organization.